A former Sussex councillor and ex-Scout leader who was facing sentencing for a string of child sexual offences has died. Matthew J Lock, 39, of Ore Place, Hastings, passed away at the Royal Sussex County Hospital in Brighton on Saturday (September 24), a Sussex Police spokesman said today (Tuesday, September 27). Earlier this month Lock had pleaded guilty to 19 child sexual offences at a hearing at Lewes Crown Court. It is believed Lock, an ex-Hastings councillor, died in hospital where he was having minor surgery. Lock, also an ex-Scout leader in Battle, was charged with 28 offences in total and pleaded not guilty to nine. He pleaded guilty to three counts of making indecent photographs of a child, one count of distributing indecent photographs of a child, two charges of distributing/showing indecent photographs of a child or children, two counts of attempting to intentionally incite a child to engage in sexual activity, 10 counts of attempting to incite a child to engage in sexual activity, and one charge of attempting to incite a child under 13 to engage in sexual activity. 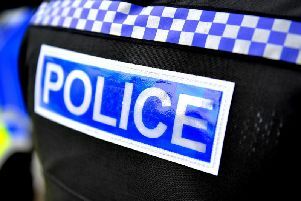 The attempted incitement offences took place between 2010 and 2013, online, involving two separate boys who are not from Sussex, are not known to each other with no local safeguarding issues. The indecent images offences happened between 2006 and 2013. Lock was remanded in custody in August after appearing in court at an earlier hearing. The former St Helen’s ward representative resigned from the council in May last year, citing ‘personal problems’ and ‘ill health’. But it was later revealed the ex-Conservative group leader had been on police bail for six months after being arrested in November 2014. Lock was due to be sentenced on November 25.